Videos can be annotated at any location. To annotate videos, move the slider to the location you want to annotate or/and click on the “+” sign on the video viewer as shown below. 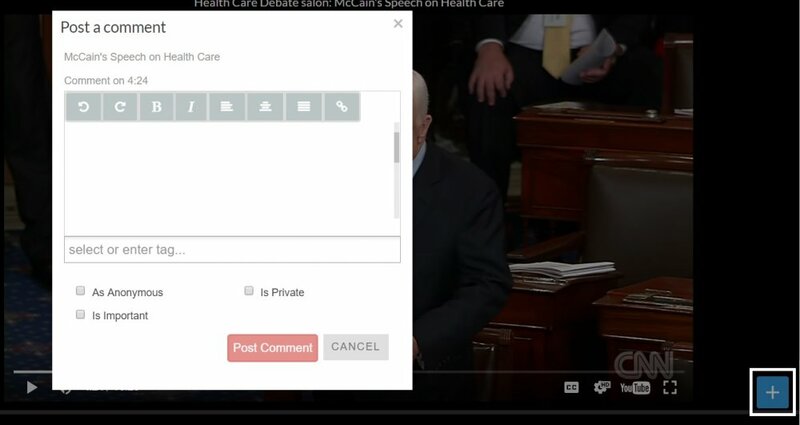 Enter the comment in the annotation box and video will automatically save the comment with the time stamp.